The tumour, weighing 10 kg and two feet in length, was compressing on all structures of his abdomen, including his liver, kidneys, stomach and spleen, doctors said. New Delhi: A farmer from Rajasthan got a new lease of life after undergoing an over 10-hour-long complex surgery at a hospital in New Delhi for removing a huge tumour that occupied "80 per cent space" in his abdomen, officials said today. The tumour, weighing 10 kg and two feet in length, was compressing on all structures of his abdomen, including his liver, kidneys, stomach and spleen, doctors said. 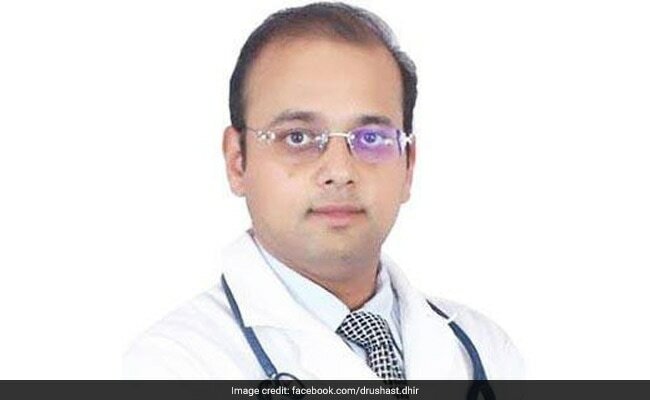 Dr Ushast Dhir, Consultant in the Department of Surgical Gastroenterology and Liver transplantation at the Sir Ganga Ram Hospital (SGRH) said a "multi-disciplinary team" -- urologist, neurologist and cardiologist -- approach was used to work up the patient for the complex surgery. "The patient, a farmer and resident of Bikaner, was suffering from discomfort in his stomach for the last six months. He was evaluated and the scan revealed a large tumour in his body occupying more than 80 per cent space in the abdomen," the SGRH said in a statement. "This tumour had grown so huge that it had displaced his intestines to the left side of his body. The tumour was compressing on all structures of his abdomen including his liver, both his kidneys, stomach and spleen," it said. The surgery done recently would also help in proper flow of blood, to and from his heart, hospital authorities said, adding, performing anaesthesia on the patient was complicated because the huge tumour had compromised blood return to the heart. "The most complex part of the surgery was separating the tumour from renal veins, aorta and vena cava without losing blood or damaging these structures, and to achieve it the team had to conduct this surgery with absolute perfection," the statement said. "It took over 10 hours for the team to successfully remove the tumour," it said. Dr Dhir, the chief surgeon for the case, said, "This tumour was a well-differentiated liposarcoma (kind of cancer) and to our knowledge this is this largest liposarcoma removed until now."